This is a wonderful program that teams you with a mentor who is there to assist you during your training. I loved mentoring last year, and am looking forward to mentoring again this year! This is a life changing adventure, so get ready and I’ll post more details as they come in! It’s been a while since I last posted, and there has been a lot going on as of late. This past Saturday, I raced in the annual Red Flannel Run, which benefits the YMCA. It was cold and the wind was brutal, but I managed to finish third in my age group. I was pretty happy with that! The winds were gusting up to 35 mph, so it was not an easy run by any stretch of the imagination. I have also joined a group that helps you train for a sprint triathlon in 12 weeks. We meet every Wednesday, and usually do a bike/swim brick. Tonight we did all three! I find that having coaches there, watching your performance and giving you suggestions and tips is worth every penny, especially in the swimming portion. That was the reason I signed up in the first place, and it has been invaluable! Not only that, but we get to work out with a great group of people, and have made some nice friends along the way. I am hoping Vicky will be nice and help me with my swim technique, or at least distract the coach while I swim! I decided yesterday to run indoors on the track at lunch. My knees were sore, and I didn’t bring the right gear to run outside, so to the YMCA I went. I don’t know what got into me, but I ran the first mile in 6:47:99!! I broke the 7 minute mile for the first time! I couldn’t believe it! The second mile was back to reality at 8:48:00, and the third was 8:30:00, but I was still in shock over that first mile. I was asked by Andy Roat, the owner of Fleet Feet Sports in Des Moines, if I would be a mentor in a upcoming program called No Boundaries, which helps people prepare for their first 5k run. I was honored to be asked, and I am looking forward to helping others learn the joy of running! It seems as if the circle is now complete; once others helped me along my way (and still do, I have a lot to learn), and now I get to help others. 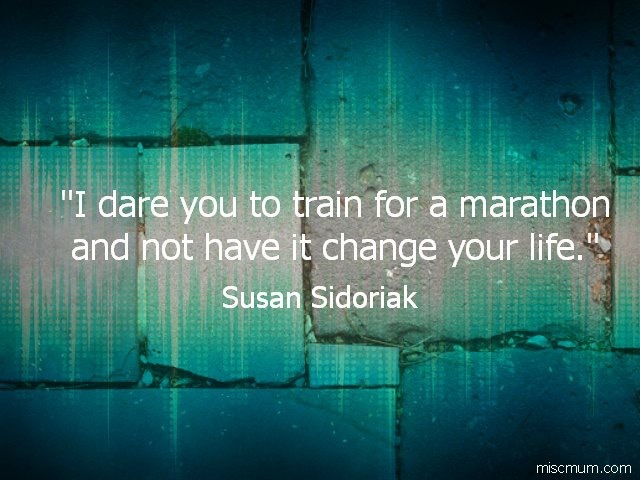 I am hoping to mentor the marathon group again this year, but I am waiting to hear more about this years program on the marathon training. If you are in the Des Moines area, stop by Fleet Feet in the East Village. They are the nicest and most helpful people on the planet. They love running, the community, and helping people in general. I also heard that I will have the chance to meet someone that I have admired, from our connection in the “From Fat to Finish Line” FaceBook page, and also her blog “Confessions of a [Former] Fat Girl”. 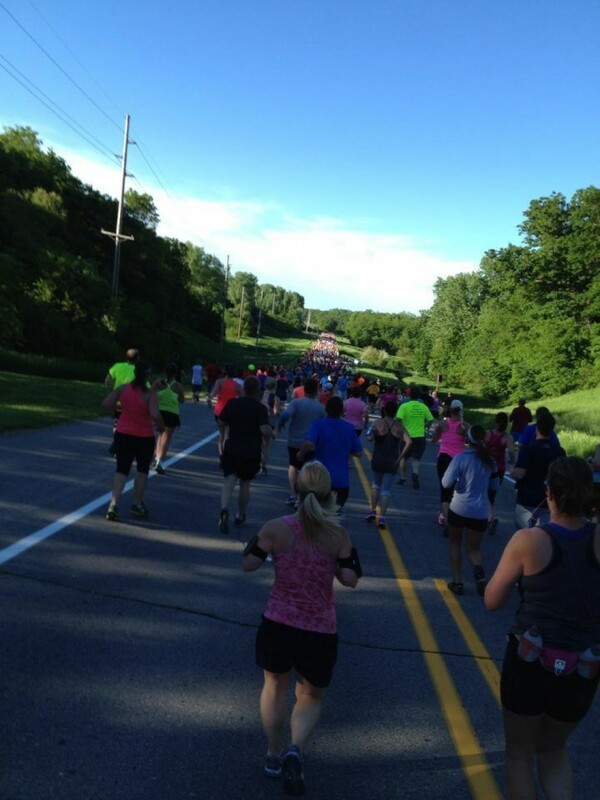 Celeste E. and her husband will be in Des Moines for a few days as she becomes a certified running instructor. How cool is that? I believe she is also becoming certified to do group instruction, such as spin, Zumba, etc. I really admire her determination and how she just loves to run! They are planning to run the Drake Relays 10k run that Sunday, and wouldn’t you know it, I will be there running a half marathon! I can’t wait to meet them both, and to hear Celeste’s lifestyle change firsthand. It is stories such as hers that makes me continue to push harder, to try and do more. I know that I have a long way to go, but I see progress at every turn. So, it has been a great few weeks! I also have a Live Healthy America Challenge going on at work, where to try to work out 2 hours a week for ten weeks. The goal is to have 20+ hours of exercise total at the end of ten weeks. Right now, into week four, I am averaging 16-17 hours a week! That’s quite a change for me, as I used to do nothing. But, when you decide to make a lifestyle change and commit to it, things change for the better. Yesterday evening, I attended my first group training session for people who want to do a sprint triathlon. Now, I have done three sprints in the past, but it was my hope that the swim training by a professional coach would help me as I move toward open water triathlons and hopefully Olympic distance tris. We met up at the YMCA, and after introductions, it appeared that most of the group had been there before. They all new one another, was asking about events and what each other was up to. That set my nerves tingling … nothing like being the outsiders in the group. We changed and headed to the spin room for the first portion of our first brick workout: an hour long spin class. We got on the bikes and started to warm up. Suddenly the coaches left the room, only to come back with yoga mats. We needed to stretch first! So after about 8 different core stretches, it was time to pedal. It was a sweat fest, and also an enjoyable workout. While spinning, we got to meet a few members. That made us feel like we were a welcome part of the team. We chatted during recovery portions of the class, and we grew quiet as the workouts intensified. The coaches also let us know that they were here to help us, and that they would do everything they could to help us succeed. That comment came true on the next portion of the brick workout: the swim. We had to swim after the cycling due to a swim class going on, so now after a hard workout on the bike, we were going to try and swim. Even though I’ve read several books on swimming, I don’t know what I am actually doing. It was calming to hear my coach tell me that I looked comfortable in the water. He then explained what I should change, and why it should be changed. He is a believer in minimizing energy output while maximizing distance. So we worked on stroke angle, hand insertion, along with drills such as the fingertip drag to help with form. I also noticed him walking back and forth along the pool watching us and evaluating our form. While this would usually make me nervous, this time it did not. It was reassuring that someone was taking my best interests to heart and wanted to see me reach my goals. We were given a sheet with the first four weeks of workouts, for both the beginner and intermediate level. I am at one level on running and biking, but a complete newbie when it comes to swimming. I figure we can discuss it next week, but for this week I will mix the two. This morning I had the chance for my first workout with the training plan. After a 400 total yard warmup, I did 600 yards of drills, followed by a 200 yard total cool down. I thought 1200 yards wasn’t too bad. I then changed and hit the track for a 6.5 mile run. I have this feeling that as these weekly classes progress, I am going to enjoy it more and more. Just having something to work on today was worth it. I’ll post more as the training continues. As I type this, my body is a little stiff and sore, but it feels good!